Everybody needs a little change now and then. Try going meatless for a couple meals by using these tasty veggie-protein recipes. You'll get the nutrition you need and the variation you want! We all know that protein is essential for muscle growth and fat loss, but you may not know that your protein doesn't always have to come from animal sources. Plants can be a great source of clean protein—you just have to know what kinds to buy. If you're tired of constantly firing up the grill for chicken breasts and turkey burgers, try something new! Use these six protein-filled, plant-based recipes to add some new flavors and protein sources to your diet. They'll help fuel your transformation and keep you feeling healthy and energized! This is one of my favorite summer salads to bring to barbecues or to pot-luck parties. It also serves well for weekly meal planning! This dish isn't your average green side salad, but has a healthy dose of protein, complex carbs and good-for-you fats. Pair it with lean meat for a complete meal. 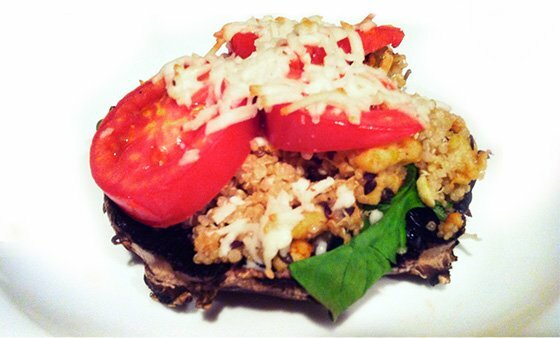 This is a filling, hearty veggie dish! Even though there's no meat, you'll still need a knife and fork to dig into this meal. Give yourself a break from grilled meat and throw these ingredients together for an easy and tasty alternative to the usual. 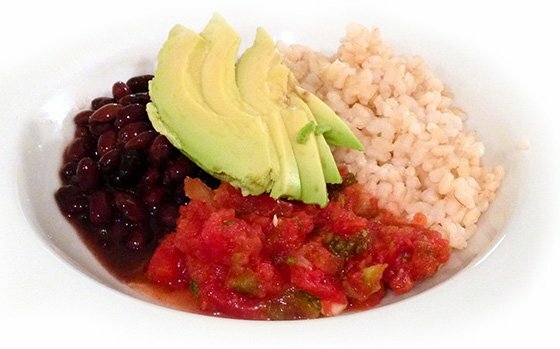 You'll get all the flavor of a Mexican-restaurant meal without the fried fat and unhealthy calories! This is a great protein-packed meal I love to make for lunch during the week. 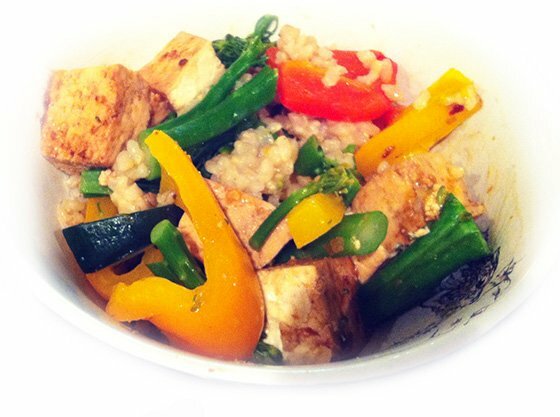 I usually take whatever vegetables I have in the fridge, stir fry them with some lively spices, and add them to brown rice and tofu. Use whatever veggies you'd like—below are my usual ingredients. When you're dieting for a competition, it's unlikely your nutrition plan allows for pasta. Don't be sad! This recipe tastes just as good as the real thing—just without all the simple carbs. 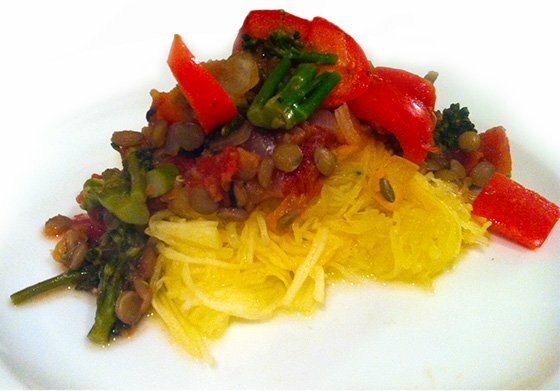 You'll get some healthy, complex carbs from the lentils and extra veggie goodness from the spaghetti squash. Many people love P.F. 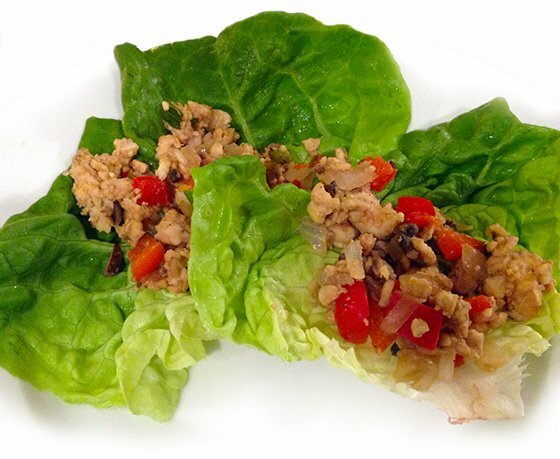 Chang's chicken lettuce wraps. I was inspired to create a cleaner, meat-free version at home! It is quick and tasty, and a great option for a low-carb dinner.